MEMS chip. Computer artwork of a MEMS (microelectromechanical systems) device on the end of a ruler. 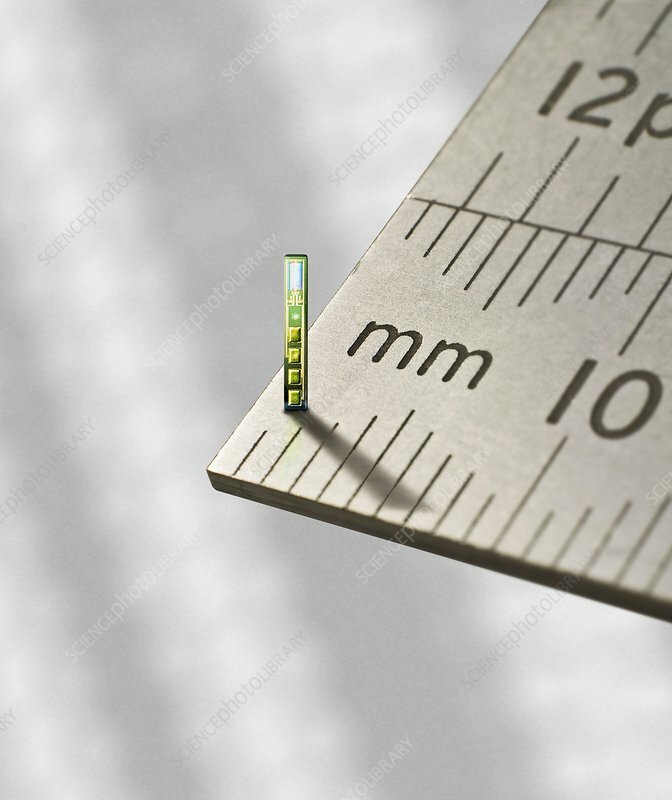 MEMS devices are constructed on a microscopic scale using technologies such as wet and dry etching and thin film deposition. Applications include sensors and optical displays. Materials used to construct MEMS devices include silicon and polymers such as plastics.